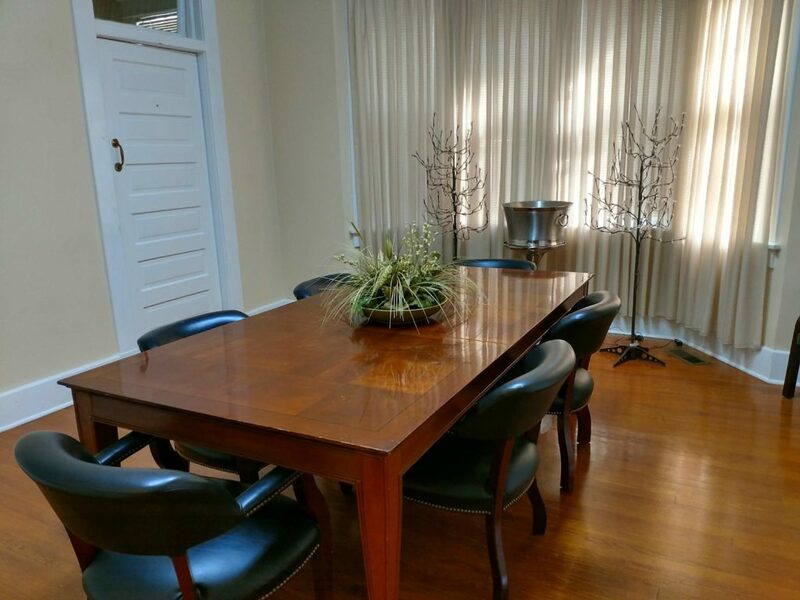 This is the Magnolia Conference Room. 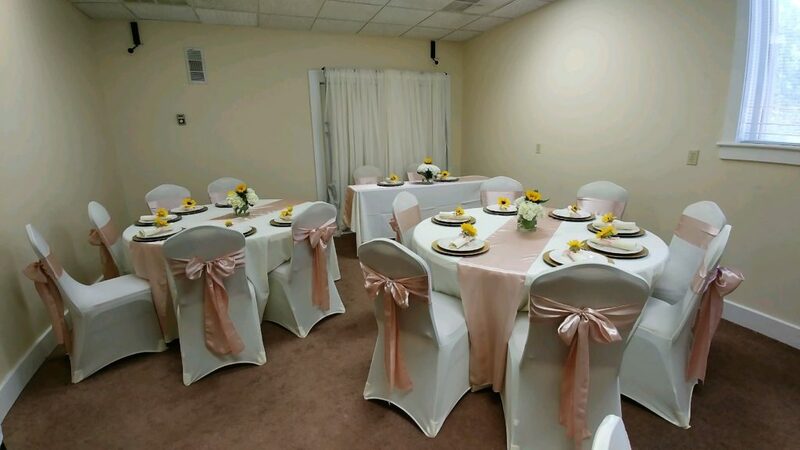 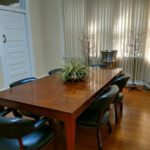 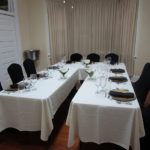 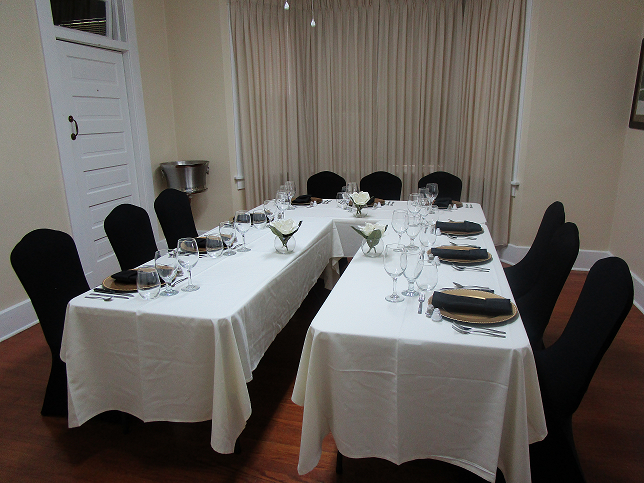 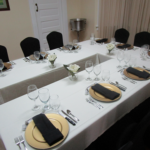 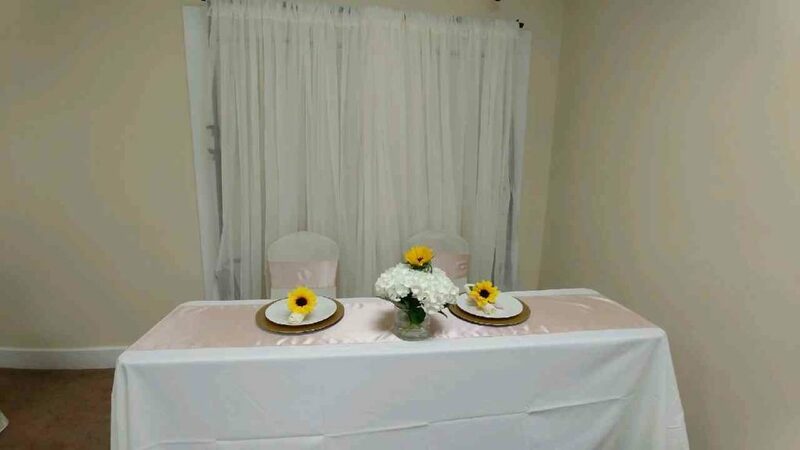 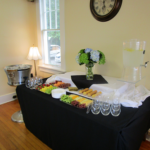 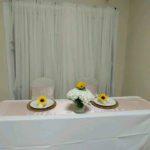 This room is located on the first floor and is available for rent as a conference room or as an event room! 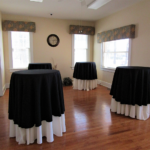 All we have to do is make a few changes for an event. 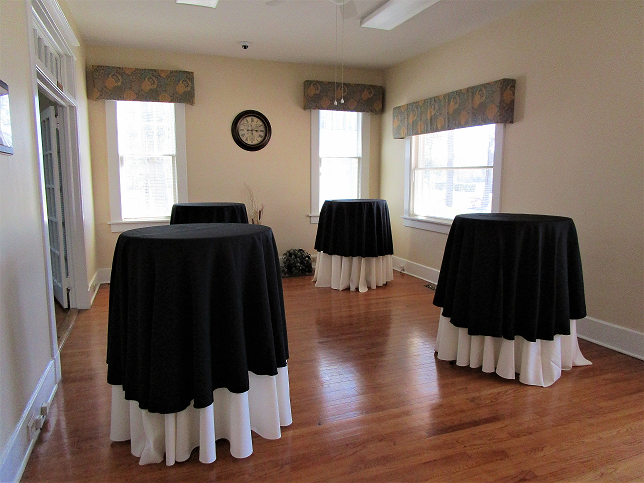 4 high-top tables in the lobby area. 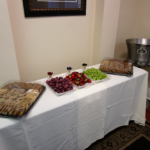 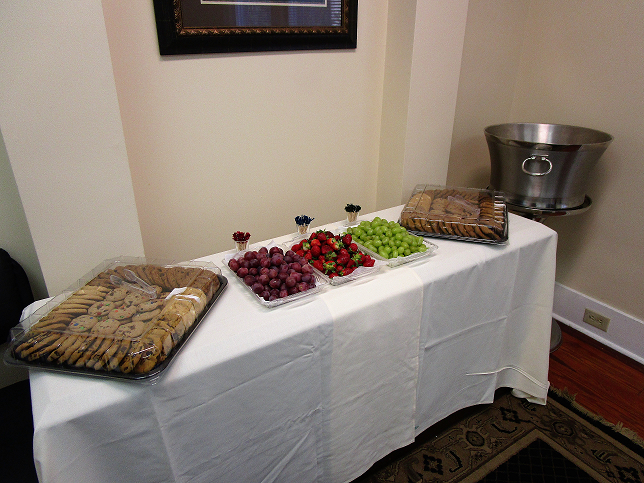 Fruit and cookie spread in an office for an event. 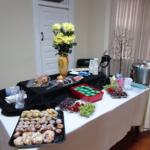 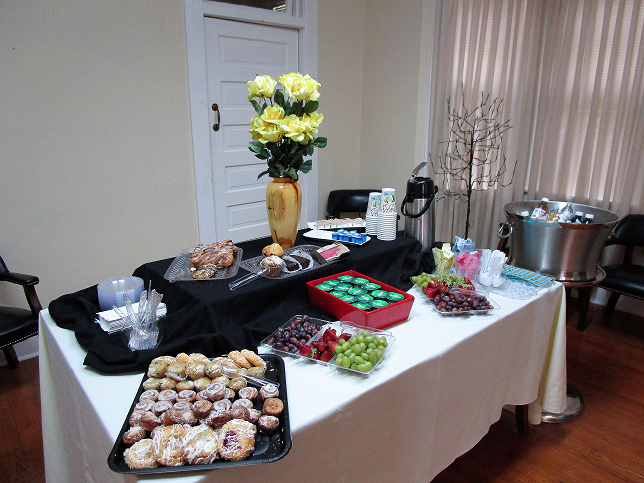 Breakfast spread in the Magnolia Conference Room. 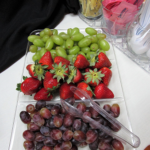 A fruit tray that was on the breakfast spread. 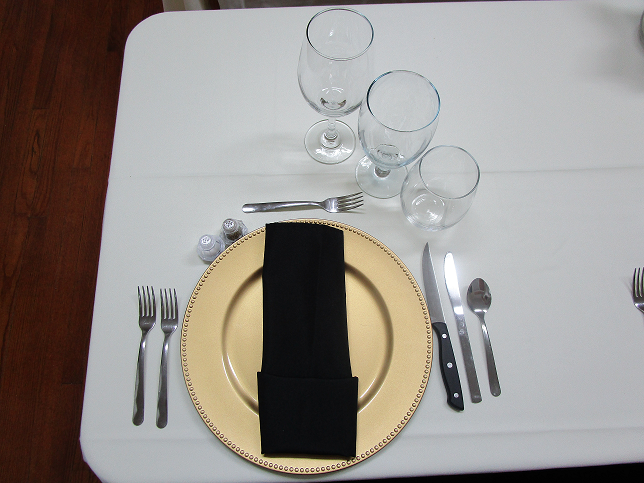 A private dinner setup for 9. 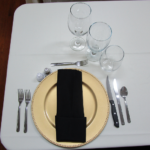 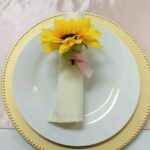 This was the place setting for each individual at the private dinner. 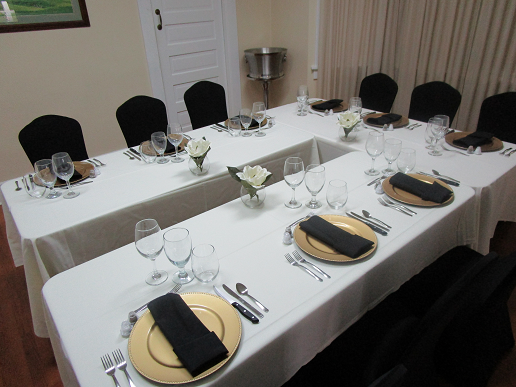 Another angle of the private dinner setting for 9. 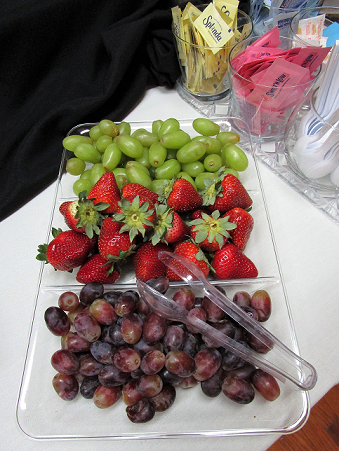 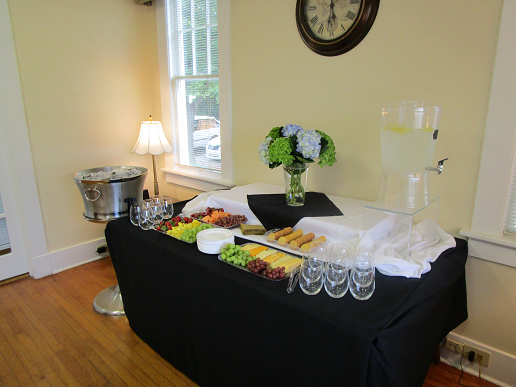 Before dinner, the host requested that fruit as well as cheese and crackers be available for the guests. 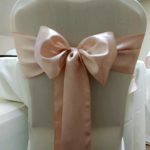 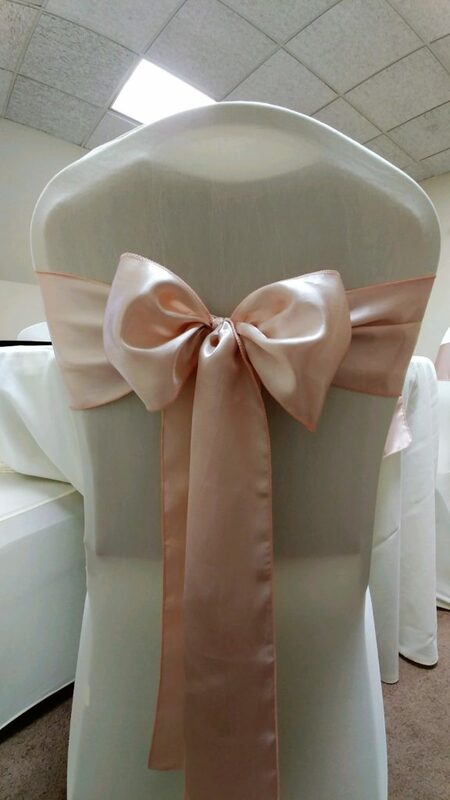 Bow that was tied with a chair sash. 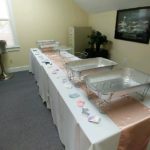 Baby Shower table set up. 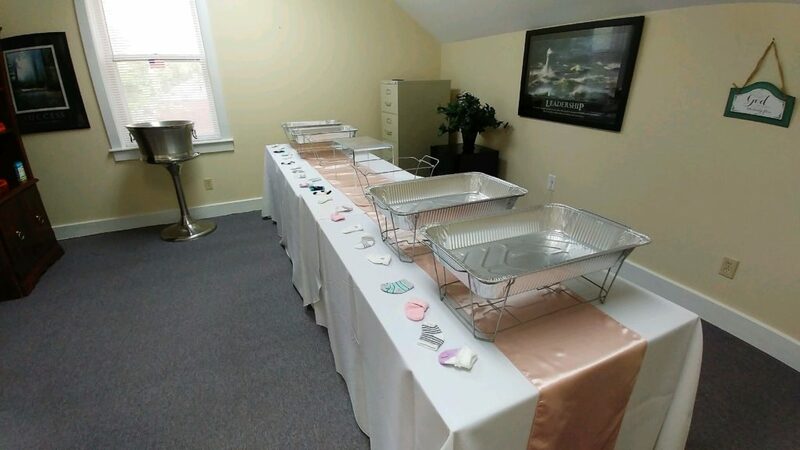 Special seating for baby's parents. 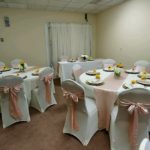 Looking for pictures inside The Lilly Event Center? 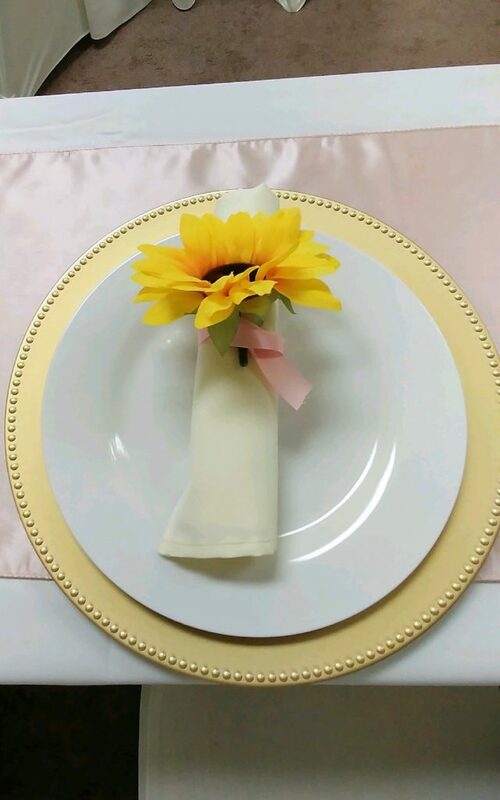 To see pictures of events that were held in The Lilly Event Center, please click the button which will take you to The Lilly Event Center page!